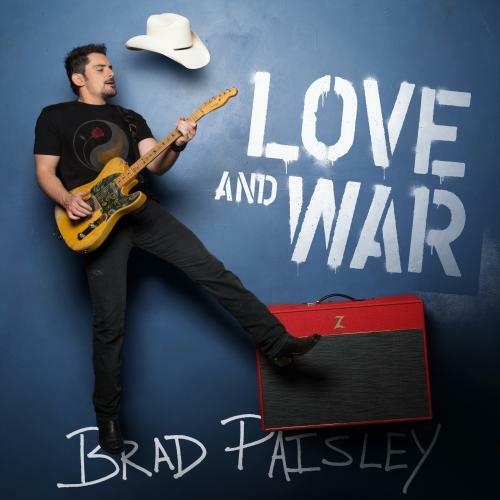 On the heels of the release of his 11th studio album LOVE AND WAR last week, superstar Brad Paisley announces the release of the visual version of the same album exclusively on Apple Music on Friday, April 28. Paisley is the first country artist to release a visual album, and fans can view a sneak peek HERE. Available to stream for a limited time exclusively on Apple Music, the LOVE AND WAR visual album represents all 16 songs from the album and flows seamlessly as a movie to tell the complete story. Locations of the video shoots ranged from a concert in a Sleep Number store in a mall, a party at Brad’s parent’s house to the USS Midway in San Diego, CA. Brad Paisley, Dave Brown, Derek Cressman, Frank Agnone, Jeff Venable, Jim Shea and Todd Cassetty were the directors involved. Producers included Ben Skipworth, Frank Agnone, Jim Shea, Kendal Marcy, Mark Kalbfeld and Todd Cassetty, and executive producer was Kendal Marcy. Fans may start a three-month free trial now on Apple Music HERE. Below is a complete list of video credits for the LOVE AND WAR visual album.